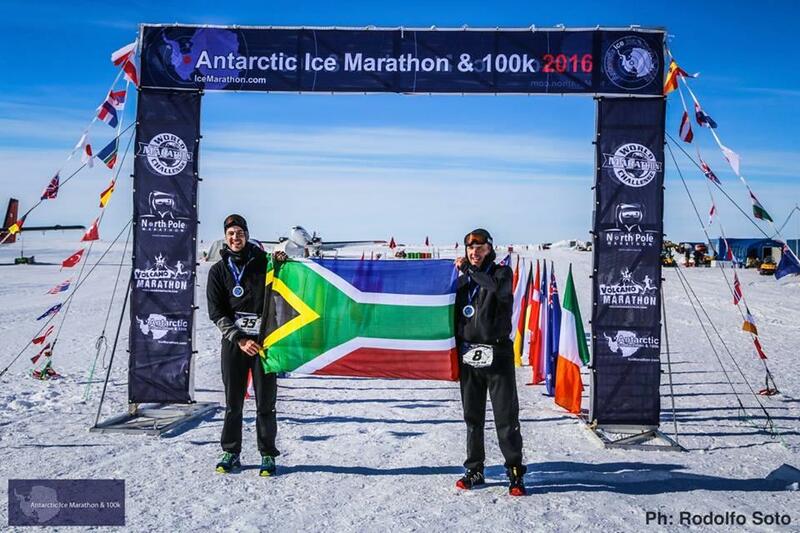 GEORGE NEWS FLASH - Two George athletes, Pieter de Wet and Scott Rickard have made their families proud by achieving joint fourth place in sub-zero temperatures in the Antarctic Ice Marathon, finishing in 4 hours 37 minutes. They were on their way home on Tuesday. The race was run on Friday 25 November, starting just after 17:00 South African time. The Antarctic Ice Marathon is run over the classic 42.195km marathon distance. It encompasses an individual competition, with male and female divisions. This year just over 50 runners took part. Click here for a photo gallery of the race. Read more in this week's George Herald, and online.